Why work with a group instead of one on one? 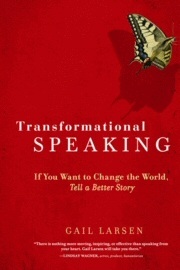 Transformational Speaking is designed as a small group experience because creative leaps of insight and expression occur that likely would not happen any other way. 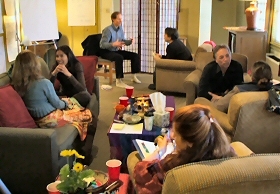 A group of six “important strangers” working together provides a web of mutual support and synergy that cannot be duplicated in private coaching. At Transformational Speaking, you become part of a supportive learning community that allows you to be deeply seen and heard. The diversity of goals, experience and perspectives in the group allow teaching and learning to happen in synergistic ways as you receive valuable insight about your gifts and talents. Mutual respect, fun, and celebration are hallmarks of the experience, and life-long friendships are often an unexpected bonus! You do not need to come with a prepared speech. In fact, it’s best if you don’t. Through ongoing video feedback, you’ll see yourself evolve as you explore new territory in your self-expression. Initially, the coaching is designed to support you in expressing more of who you are so that your natural strengths become apparent. You will watch the best of who you already are emerge through Gail’s potent on-camera coaching throughout the course of the program, leading up to a final 20-minute prepared presentation on the final day. Experiencing this shift and witnessing it in others fuels your own capacity to take greater risks. You are supported by group and partner exercises and practicing valuable tools that expand both your speaking abilities and your interpersonal communications. Over the course of the program, you identify the heart of your message, which becomes the foundation of your presentation and brand. Are accommodations and meals included in the tuition? Room is not included; some of your meals are (a healthy continental breakfast is available in our meeting room 30 minutes before we begin each morning if our hotel does not offer breakfast and we host a brunch on Sunday afternoon as part of our closing ceremony and celebration). See Location and Logistics to learn all about travel and transportation recommendations in beautiful Santa Fe, New Mexico, home to the Transformational Speaking Immersion. What is the difference between the Intro and the Immersion? Am I required to do the Intro first? The intro program is a more affordable way to begin the Transformational Speaking work and is not a required prerequisite to the Immersion. An intro is a “taste,” providing foundational tools and concepts and brief coaching. Class time for a two-day program is approximately 13 hours, with group size of 20. 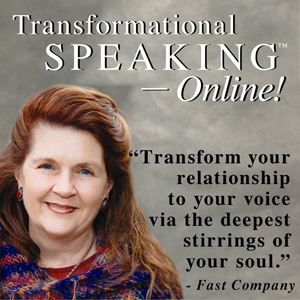 The four-day Transformational Speaking Immersion, for only six participants, is a 33+-hour program that includes on-camera personal coaching with Gail as you progressively build self-trust and speaking skills while developing your best material and stories. It is an unforgettable journey into the heart of who you are and what you are here to say, culminating in your design and delivery of a new presentation. Which ever program you choose to begin your journey to this liberating way of speaking that connects you to your truth and originality, we welcome your participation and voice! 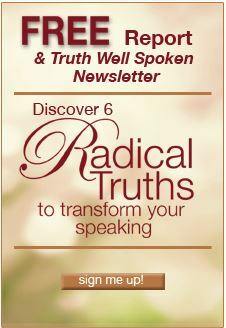 Please contact Gail at gail at realspeaking.com or call 1-505-986-8650 with your questions.